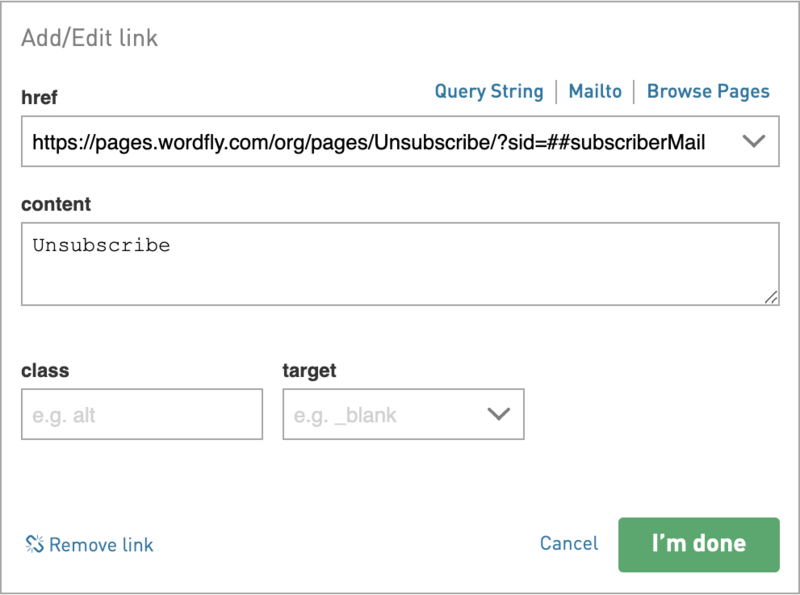 You must add an unsubscribe link to every email you send from WordFly. Learn how to add this important link to your emails in this article. 2. Filter by Type to bring up the links. Copy the dynamic link for unsubscribe. Unsubscribe is a default dynamic link that will always be available in your dynamic tag library. Copy the link to a notepad document for easy access later. 2. 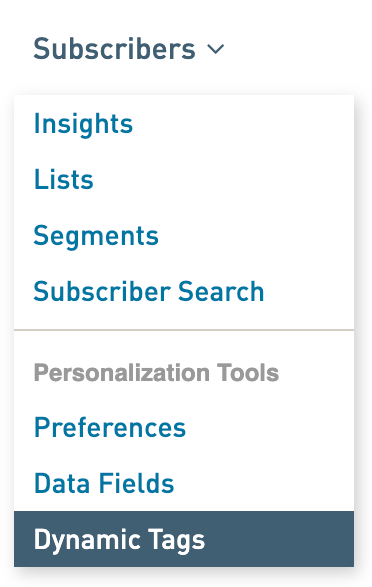 On the email preview panel, click on the text block where you would like your unsubscribe link to go. This will bring up the Edit Content panel on the left side. 3. Type in your unsubscribe text (such as "Unsubscribe"), highlight the typed work and select the link icon. 4. Paste in the dynamic unsubscribe link in the URL field. Click I'm Done when finished. Repeat steps 6-8 for adding the unsubscribe link to another text block area in your email!